Spring Lab currently employs 20 persons and specializes in swapping credit and identity information between banks and corporations on the blockchain. The company has managed to raise $15 million through seed funding; its board includes such high-profile figures as Bobby Mehta, former CEO of Transunion, and chief legal officer at cryptocurrency company Coinbase Brian Brooks. 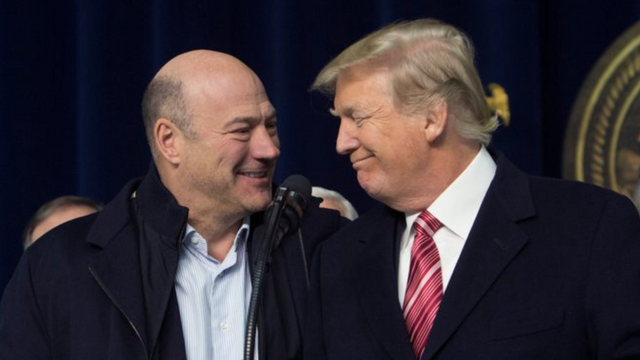 The story of Cohn shows that more and more Wall Street big shots are joining the blockchain craze. Back in July, Michael Chang, who leads the Wachsman Strategic Advisory Group, claimed that top talents prefer crypto to Wall Street. Among them are Matt Huang, Capital Partner of Sequoia, who announced that he will create a cryptocurrency fund and Amber Baldet, J.P. Morgan Chase’s Blockchain Executive, who had left her company in order to create a decentralized app store Clovyr. The former head of J.P. Morgan global commodities Blythe Masters is also on the list: now she is the CEO of Digital Asset Holdings, LLC. CEOs of giants like Goldman Sachs have also expressed their interest in the cryptoworld. Originally published at altcoinbuzz.io on OCTOBER 13, 2018.